For all of Marissa Mayer's supposed flaws, YHOO stock more than tripled during her five-year tenure. Can it replicate that performance now that she's gone? The market continues to thrive, and technology stocks have been the market leaders. Here are the five best tech stocks so far this year. Beaten-down stocks such as Chipotle (CMG) and Yahoo (YHOO) can sometimes make good value investments. But not all beaten-down stocks are created equal. The Best Way to Invest $10,000 in the Stock Market: Where Should I Invest My Money? 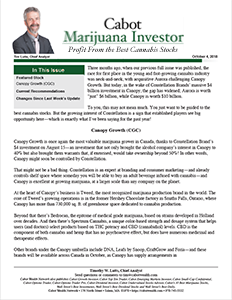 As marijuana becomes increasingly legal in both the U.S. and Canada, it makes sense for growth-oriented investors to pay attention to marijuana stocks. The opportunities are much bigger than most investors realize!! We designed Cabot Prime for dedicated investors like you—investors who want to own the best stocks, collect the biggest profits, and lock in a rising source of income for life. With Prime membership, you get full access to nine of our top advisories and many members-only benefits. Cabot Prime Pro membership was created for elite investors who are looking for an extra edge in substantially growing the value of their investments. As a Prime Pro member you receive the proven, practical – and profitable – insights and recommendations from all of the expert analysts at Cabot. This flagship investment advisory has been published since 1970 and it is recommended for all investors seeking to grow their wealth. You’ll receive invaluable investing lessons, so that you won’t just become a more successful investor—you’ll become a wiser investor! Cabot Dividend Investor focuses on preparing for retirement, recommending a solid range of income-generating stocks, preferred stocks, REITs, MLPs, closed end funds and utilities, with particular emphasis on risk, dividend safety and dividend growth. If you’re retired or thinking about retirement, this advisory is designed for you. Cabot Dividend Investor’s proprietary Individual Retirement Income System (IRIS) will help you allocate your assets for capital appreciation, current income, growth and future income investments according to your retirement goals. Cabot Emerging Markets Investor focuses on emerging-market economies, with special attention paid to the fastest growing markets in the investment landscape. You'll discover the value of international diversification and the profit potential of investing in countries whose economies are growing far faster than that of the U.S. All these stocks are traded on U.S. exchanges, usually as American Depositary Receipts. Under the guidance of Chief Analyst Carl Delfeld, Cabot Emerging Markets Investor was recognized as the top investment newsletter in 2006 and 2007 by Hulbert Financial Digest, and was rated by Hulbert as one of the top investment newsletters in every five-year period 2004 to 2011. Cabot Options Trader’s Chief Analyst and options expert Jacob Mintz uses calls, puts and covered calls to guide investors to quick profits while always controlling risk. Beginners and experts alike can benefit from following Jacob’s advice. Whenever Jacob determines the time is right, he sends specific option buy and sell alerts via email and text-message for immediate action. 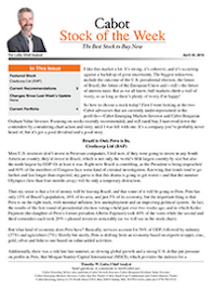 He also sends out a weekly update with his views on the options market, open option positions and his outlook for the coming week. Cabot Options Trader Pro’s Chief Analyst and options expert Jacob Mintz uses the full spectrum of option strategies to recommend the option that best suits the trade opportunity—calls, puts, spreads, straddles, iron condors and more—while always controlling risk. Whenever Jacob determines the time is right, he sends specific option buy and sell alerts via email and text-message for immediate action. 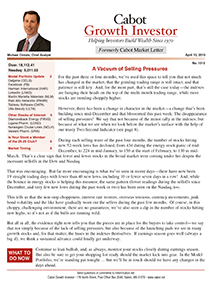 He also sends out a weekly update with his views on the options market, open option positions and his outlook for the coming week. Cabot Small-Cap Confidential is a limited-circulation advisory for investors seeking profit opportunities in high-potential small company stocks. Each month, small-cap expert and Chief Analyst Tyler Laundon features in-depth research on one outstanding small-company stock that is a pioneer in its field and undiscovered by institutional analysts. 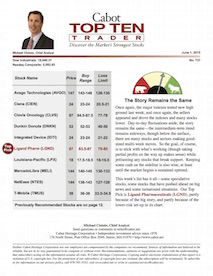 Updates on all recommended stocks are sent weekly. The circulation of Cabot Small-Cap Confidential is strictly limited because the stocks recommended are often low-priced and thinly traded. In the publication’s first five years, spanning 2007-2012, the average stock recommendation gained 30.5%. Cabot Stock of the Week offers the very best of all Cabot stocks across the investing spectrum. Each stock is personally selected by Cabot’s President and most Senior Analyst Timothy Lutts, and guided by the collective wisdom of all the Cabot expert analysts. 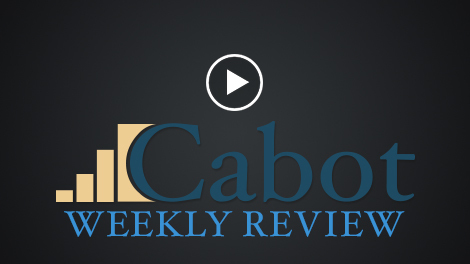 As a subscriber of Cabot Stock of the Week, you’ll build your wealth and reduce your risk with the single best stock each week for current market conditions among growth, momentum, emerging markets, value, dividend and small-cap stocks. Designed for experienced investors, Cabot Top Ten Trader is your ticket to fast profits in stocks that are under accumulation now. Every Monday you’ll receive a one-page profile of each recommended stock, including fundamental analysis, technical analysis and buy ranges. Plus... each Friday, Chief Analyst Michael Cintolo will give you an update titled "Movers & Shakers," so you’ll always know his latest thoughts on these fast-moving stocks. 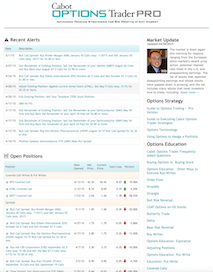 Cabot Top Ten Trader is your best source of advice on investing in the market’s hottest stocks. Yes, you can have Growth AND Value! 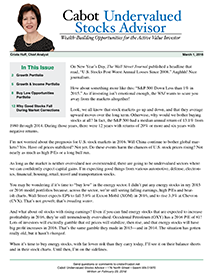 Combining both growth and value in her growth-at-a-reasonable price strategy, Chief Analyst Crista Huff uncovers stocks with strong growth catalysts that are selling at attractive valuations—the stocks that are temporarily overlooked by mainstream analysts and institutions. Crista applies her stringent screens to deliver the best stocks in three portfolios: Growth, Growth & Income, and Buy Low Opportunities. 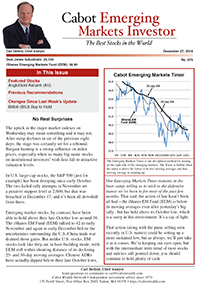 A subscription includes monthly issues with weekly updates, special bulletins with market and stock alerts and email access to Crista. 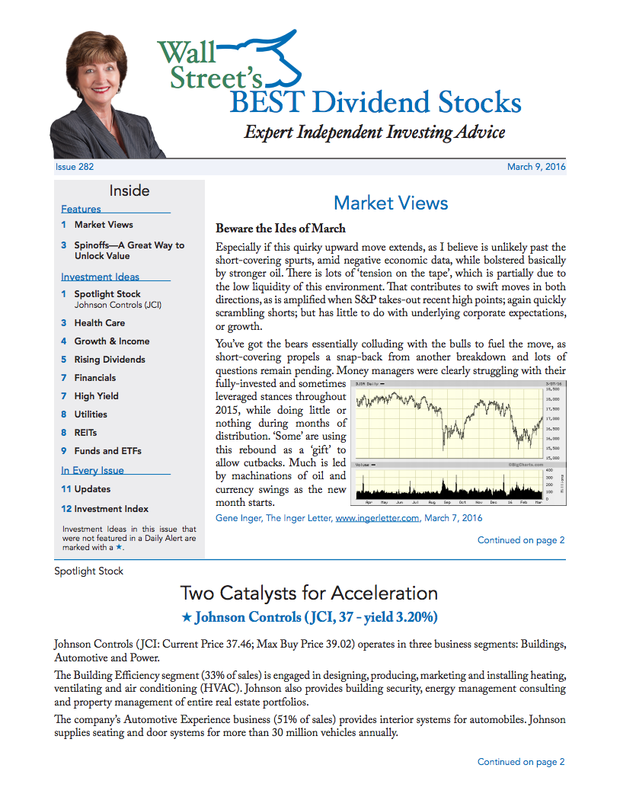 Wall Street’s Best Dividend Stocks presents the best income investments from the top Wall Street analysts, researchers and advisors. Editor Nancy Zambell scours more than 200 advisories and research reports to select the top recommendations. Dividend recommendations include high yield, growth and income, REITs, mutual funds, ETFs and more. 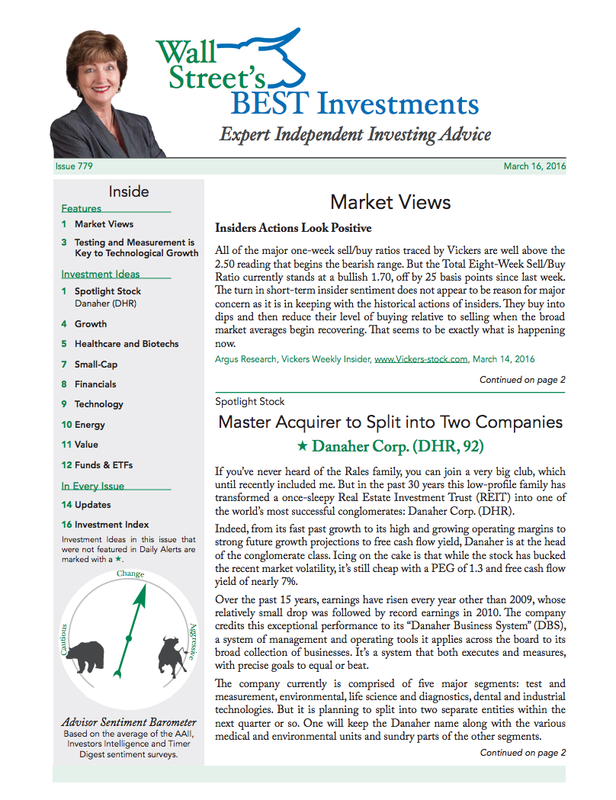 One Spotlight Stock is featured each month, along with Nancy’s insight on the market and updates on past recommendations. One top recommendation arrives in your email box each morning, and then gets collected into an easy-to-read digest of 30 to 35 top recommendations each month. 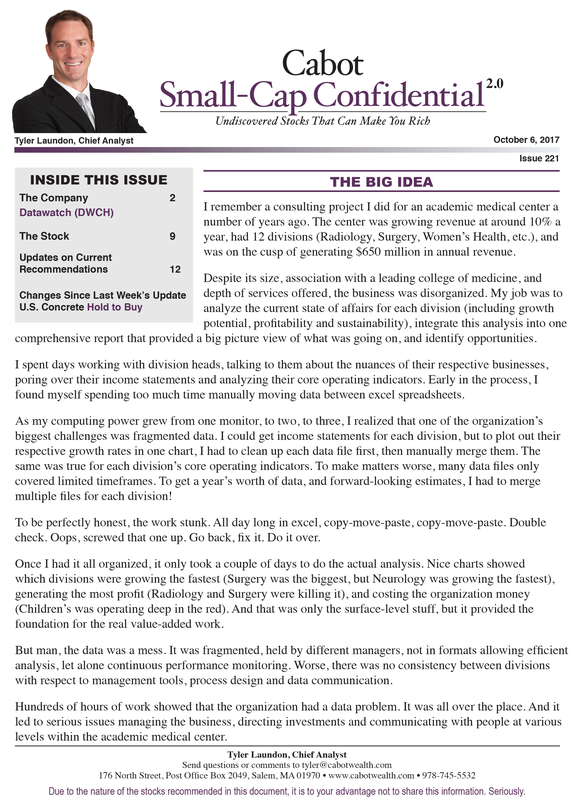 Editor Nancy Zambell scours more than 200 advisories and research reports to select the top recommendations by the top analysts. Selections run the full range of opportunities: growth stocks, value stocks, technology, small-caps, biotech, pharmaceuticals, mutual funds, ETFs and more. 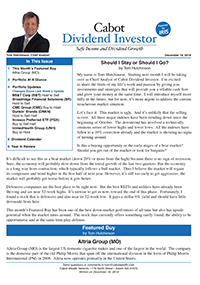 One Spotlight Stock is featured each month, along with Nancy’s insight on the market and updates on past recommendations. Thirty-plus recommendations are delivered to you in Daily Alerts directly to your email box, and collected in an easy to read digest each month. The market and especially growth stocks got hit early today, but they firmed up reasonably well in the afternoon as the major indexes finished mostly green. At day’s end, the Dow was up 110 points while the Nasdaq nosed ahead 2 points. The overall market remains in good shape, with both of our trend-following indicators—the Cabot Tides (intermediate-term) and Cabot Trend Lines (longer-term)—currently pointing up. We’re still keeping an eye on small-cap indexes, which have still not eclipsed their late February peaks, as well as the Nasdaq, which has found repeated resistance near 8,000. But overall, there’s no question that the trends are up.